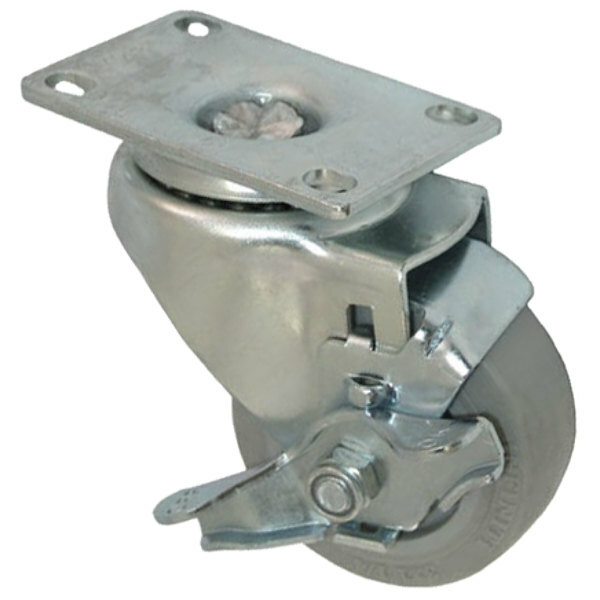 Mounting plate size: 2 3/8" x 3 5/8"
Mounting plate hole centers: 1 3/4" x 3"
Bolt Pattern 1 3/4" x 3"
This All Points 26-2373 3" medium duty swivel plate caster with brake boasts a 200 lb. load rating and serves as a great general-use replacement in a variety of applications. Adding casters to kitchen equipment enables mobility for easier cleaning around and underneath. Bolt Pattern: 1 3/4" x 3"